On a recent Called to Coach, we spoke with Gallup-Certified Strengths Coach, Dhanya Rajeswaran. Dhanya has been an HR professional for 17+ years and currently the Director of Talent Strategy, Human Capital, and Diversity at Accenture. Developing talent strategies for Accenture in Bangladesh and Sri Lanka by partnering with senior team management. Recognized as one of the 50 most influential HR leaders in Tech in 2016. Provided a personal aha moment because there were things she thoroughly loved in life that the CSF results allowed her to make peace with or reconcile. For example, with Relator as #3, she always knew she valued deep relationships and preferred to not engage in large groups or networking opportunities that only offered broad, surface-level relationships. While her role demands strong relationship building and networking, CSF made her realize why she resisted the broad-based networking and that she needed to make it work for her natural preferences. Another example is how she uses her Maximizer. The status quo has never worked for Dhanya as she was always looking for the next big thing or make something even larger and better. CSF helped her to understand why her motivations were different from others and helped her to better lead her team. Performance management does have its benefits, but it has a lot of pitfalls. Something that should motivate and energy people was used, instead, to look backward at what didn’t go well and what could’ve happened rather than what could happen in the future. We’ve been on a journey to put the employee back in the center and redefine our approach to support their development. Performance Achievement stems from the belief that great performance happens when you do what you love, having the strengths/abilities to do what you love, and working with a variety of people in complementary ways that facilitate collective achievement. A framework (like CSF) was necessary for people to look at their strengths and identify what they love. This also required a shift away from managing to developing in order to achieve performance for the organization. Our journey is not complete as we still need ongoing training and development to use this framework, but it’s been an amazing journey thus far. People were relieved and happy they no longer had to conduct performance management and, instead, focus on the uniqueness of individuals and forward-looking approach. Thus, the buy-in was easy due to the logical nature of focusing on future improvement, development, and achievement. Accenture already had a core belief that diversity is critical to the way we succeed with our clients. Thus, to value the individual nature of our employees was already part of our culture and philosophy. Anchoring CSF to a core or cultural belief within an organization assists with the buy-in of a framework. Helping people understand the term of “strength” in the Gallup context is essential. We split the journey over three years. Year 1 was dedicated to knowing yourself, priorities, and strengths. Investment in helping individuals embrace their strengths by one-to-one coaching and group coaching opportunities. Due to the large size of Accenture, one-to-one coaching was not always scalable. These sessions helped them read/review results and focused on “name it, claim it, and aim it” approach. Shift towards priorities that were agile (less time/not over a year) and how can your strengths help you meet those priorities. Leaders have a multiplier effect when it comes to large-scale change. In the beginning, there were large investments made in helping our leaders one-to-one to support the coaching and strengths philosophies. Year 2 is “the year of the team”. Understanding team strengths grid and leveraging strengths to accomplish team goals (not just individual priorities). Team experiments included 100 teams in India over the course of 6-8 week period in which teams were assigned a strengths coach, given the tools/templates, and expected to accomplish certain priorities/objectives. They were expected to understanding the various contributions of team strengths and how to deploy team strengths to best accomplish team goals. One team identified their deficiencies in “relationship building” were causing them setbacks in getting people on board with projects or ideas. As a result, they leveraged their individual team members who did have relationship-building strengths and positioned them with the team’s most difficult stakeholders. This helped to shift employee mindset that just because you are responsible for the project doesn’t necessarily mean you have to the face of the project when others have strong strengths for particular tasks. How do you address people’s resistance to a strengths-based approach? The tendency of individuals to look at the bottom of their results stems from our desire to fix rather than identifying what we can do more of. Business leaders can better embrace and understand CSF when they realize the current approach of performance management/review within fast changing world will not guide you to the future. If you continue to anchor your organization and your people’s performance in the past (and about what happened vs. didn’t happen), it stops being relevant for the future development and performance of your organization. Business leaders are very forward looking and the language of business has changed. Thus, from an HR lens, a strengths-based approach has a lot of relevance when you anchor it to the landscape of the future of business. Do my CSF results support me approaching my manager about a career change, job change, task reassignment, etc? Should we use strengths when I hire? Can I look at their strengths report before I consider hiring? That is not how the philosophy of strengths was intended. There are countless ways to arrive at the same outcome and individuals choose different methods to solve problems. Strengths allow for a common language on how we operate, understand each other, and help bring out the best in each other. If it is used as a filter to determine whether someone is qualified for a job, we are not taking the right approach. Dhanya doesn’t have Strategic in her top 5 which made her question whether she could perform in such a forward-thinking HR division. Instead, she was able to identify how Maximizer and Individualization. For an individual to use CSF on a daily basis, managers need to use their team members’ strengths to create action or make them actionable by providing senior leadership with insights. Just like learning another language, it is essential to practice day to day to build familiarity and find benefit in its use. What is next for the CSF journey in Accenture? Ensuring the work environment remains focused on the human element of our organization, especially within the Digital Age. CSF helps us to align with this philosophy. We have started exploring how to value the whole person in the workplace. For example, we started incorporating “personal priorities” rather than just focusing on professional or work priorities. In order to do this, we need to show that we value their aspirations both personally and professionally. The forward-looking journey is exploring how we become “truly human” and encourage individuals to bring their full self to work. If everyone individual is able to thrive and be their best self, then the organization will also be its best self. With such a high geographic seperation within Accenture, what are some strategies making sure the human touch and teams are supported? CSF is able to bring people together despite the distance. Accenture is highly virtual already in 60+ countries. Having the language of strengths allows you to intimately connect with individuals even if you may never see them physically. CSF is an enabler. We put our Top 5 in our company email signatures. The use of CSF has connected us on a level that would never have been possible with video conference and emails. This common language helps us build relationships much easily and with less time. As long as the organization has the tools and equipment to connect people across borders, organizations can leverage CSF. What is your advice for organizations moving towards CSF or performance achievement? This is a heavy investment. You need to be absolutely certain you are willing to stay the course. Just like Warren Buffet, when he invests, he is not going to remove his investment if he doesn’t see return within the next quarter. He is an investor for the long term. Your organization must be invested in the journey (long term) because you will not see results overnight. This is human behavior and improving performance. This doesn’t happen overnight. As you enter this journey, organizations need to recognize that it is a long-term journey. The belief needs to come from the top and be anchored in the core philosophy of the organization...that people are essential. CSF must be integrated more than just a tool that is used in certain situations. Organizations must integrate CSF as a language, framework, and tool that is used in as many parts of the operation as appropriate/necessary (on a day to day basis). 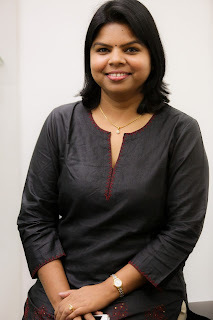 Dhanya Rajeswaran is Director – Talent Strategy / Human Capital & Diversity at Accenture. In a career spanning 17+ years, she has held HR leadership roles across businesses. In her current role, she is focused on enabling Talent Strategies for Accenture’s largest geography (India, Bangladesh & Srilanka). Dhanya partners with CXOs on developing tailored Talent Strategies to drive profitability and growth. She focuses on enabling Accenture to become an Employer of choice. This includes leading in the change through Human Capital strategies, Culture, Performance Achievement, Leadership, Inclusion and Diversity etc. She is deeply passionate about building inclusive workplaces and has led Inclusion and Diversity Strategy for Accenture globally for several years. She is the Convener for Vaahini, Accenture Women’s network in India with 90000+ members, both internal and external; Convener for Accenture Persons with Disabilities Champions Network and LGBT Ally’s network at India. Dhanya's top five strengths are Individualization, Responsibility, Relator, Maximizer and Arranger.